Courgette 'Romanesco' is a small to mid sized courgette originally grown in Rome. This Italian favorite has characteristic ribs down the fruit. The compact and erect habit makes this attractive Courgette both novel after cooking and hardly recognisable in a green salad. Marketmore is a fantastic slicing cucumber. 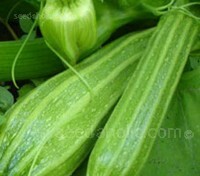 Reliable and productive and resistant to the diseases that can blight so many cucumbers. 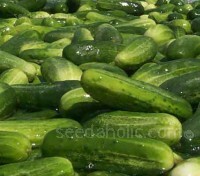 Pick daily for the most sublime cucumber experience and remember with cucumbers the more you take the more they give. 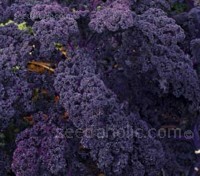 Whether you are into the culinary arts or edible landscapes, you may want to put this plant at the top of your list. Chosen by the RHS as one of the top plants of the last 200 years, Cardoons are aristocrats in both the ornamental and the vegetable world. 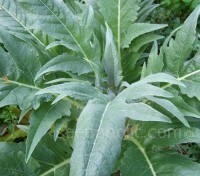 If you're an adventurous gardener, cook, or gastronome, then you'll want to grow cardoons. In summer, tall flower stems which are topped with large blue-violet blooms. A dramatic statement in the flower border and a flavour that is truly unique in the vegetable world. 'Zefa Fino' is a superior strain of fennel that is ideal for cool climates and the best fennel for garden use. It keeps a succulent texture, never tough or woody. It harvests easily because the root stem is relatively short and is good for use as a mini-veg or for growing on to maturity. 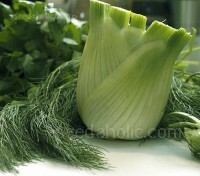 Very popular for use in specialist cuisine, Florence Fennel, 'Zefa Fino' is a superior strain. It stays small, is never tough or woody and keeps a succulent texture. 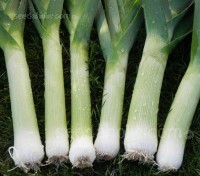 Ideal for cool climates and the best fennel for garden use, it will bulb reliably and doesn't bolt from a spring sowing. Harvest in 80 days. Perpetual Spinach is not spinach, nor is it perpetual, but it does grow reliably for quite a long time in the garden. This old heirloom is, in fact a relative of chard. 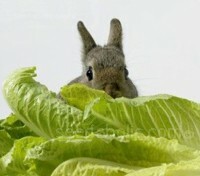 You rarely see it in the shops because it ideally needs to be picked soon before eating. The steamed stalks taste something like mild asparagus. 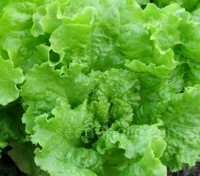 A highly ornamental oakleaf lettuce which produces masses of deeply lobed leaves. With good flavour and texture, the compact plants will grow easily in a pot or in the garden. This variety tolerates heat very well, but also excels in cooler climates. 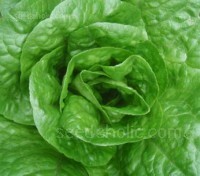 Salad Bowl lettuce are amply named, one plant fills a salad bowl with no need to add other lettuces. “Green Salad Bowl” is an award winning variety that produces large, slow bolting, non-heading plants with sweet, succulent green leaves. N.I.A.B and RHS AGM. 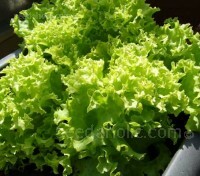 Salad Bowl lettuce are amply named, one plant fills a salad bowl with no need to add other lettuces. 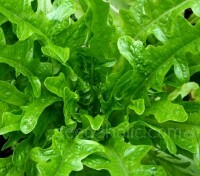 “Green Salad Bowl” is an award winning variety that produces large, slow bolting, non-heading plants with sweet, succulent green leaves. Bright green and crumpled, with very crunchy leaves and an excellent sweet taste, ‘Henderson's Black Seeded Simpson’ is regarded by many as one of the best tasting loose-leaf lettuce varieties available. Fast growing and slow to bolt, it withstands heat, drought, and frost. 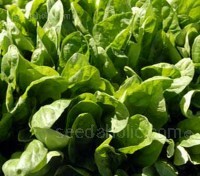 Harvest for babyleaf or grow to maturity in just 45 days. Little Gem is a popular choice, and no wonder! It produces sweet crisp, small-sized hearts with few outside leaves. Quick to mature, dwarf and compact. It will tolerate hot weather and resists bolting and root aphid. It has also received an Accreditation from the NIAB. 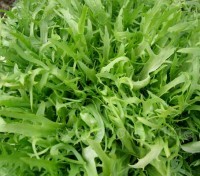 Lollo Bionda lettuce forms a beautiful round mound of pale green, crisp frilled edged leaves. 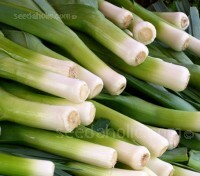 Appreciated for its unique shape and refreshing taste, it holds well in summer heat and in the cold. It makes an attractive complement to Lollo Rossa. 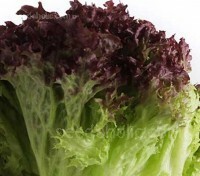 Lollo Rosso is a classic Italian lettuce, with dark copper red to bright green, finely crinkled frilly leaves which are crisp, almost brittle when snapped. 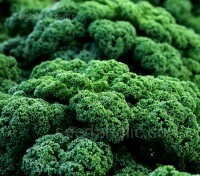 It is appreciated for its unique shape and refreshing taste and holds well in summer heat and in the cold. 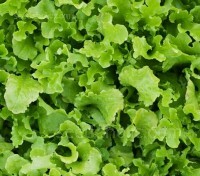 Lollo Rosso, for which you pay premium prices for in the supermarket is one of the easiest, trouble free lettuces you can grow. 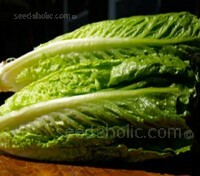 It's a cut-and-come-again variety and produce leaves for three months or more. RHS AGM. Organic Seed. Parris Island produces an upright head of strong leaves with a distinctive crisp white midrib. Heat tolerant with fair bolt resistance, you can grow successive crops in spring and autumn and in mild coastal areas it can be grown year-round.